Other Central American countries may boast their infrastructure, their sparkling highrise cities, endless outlet malls, and slick highways. But if you seek a place where life can be simpler, where you are addressed warmly by name…where the children politely stop to listen and address you as Sir or Madam…where people always have time for you…where your favorite meals and drinks are remembered in local restaurants…then Honduras is the retirement destination for you. ship goods as needed from home. Roatán offers multiple public and private medical clinics and hospitals. Easy access to any of these facilities will provide you with any basic medical care needed. Pharmacies on the island also offer many medications over the counter, enabling many Americans to access their necessary prescriptions for less than they pay back home. The two major cities in Honduras, Tegucigalpa and San Pedro Sula, have excellent medical facilities, equipped with the latest technology in healthcare, and staffed by physicians, most of whom were trained in the U.S. So if healthcare is a major concern as you look toward retirement, then rest assured that there is quality care widely available in Honduras. Several stable banking institutions with decades of experience and connections to banks in the U.S. are available, and money can be wired in or out of your accounts here in less than a day. Property in Honduras can be owned by foreign individuals with the same rights of ownership as Honduran nationals. There is so much to do, and so much time in which to do it here, so retirement in Honduras is perfect for those interested in maintaining an active lifestyle. If you like adventure travel, opportunities for white-water rafting, canopy zip-line touring, hiking, fishing, scuba diving, and snorkeling abound. Or if you are on more of a meditative bent for your retirement, Roatán’s beaches and lush jungle hillsides provide beautiful settings for spas and retreats. Roatán is a multi-cultural location, allowing for a variety of languages, foods, and traditional celebrations to intertwine. Your life will be richer while your expenses won’t hurt your wallet. When planning your retirement overseas, many factors come into play. Low costs, affordable real estate, and high-quality healthcare are some of the main concerns…but what about being able to mix well with the community or make friends with the locals? 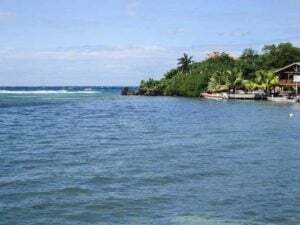 Read More : Is Roatán Safe? Read More : What Does Gringo Mean?